Become the Wolf of Wall Street with lasers in this sci fi space tycoon adventure! As the newly appointed CEO of Vostok Inc you must do anything and everything to reach your ultimate goal to get filthy stinking rich! 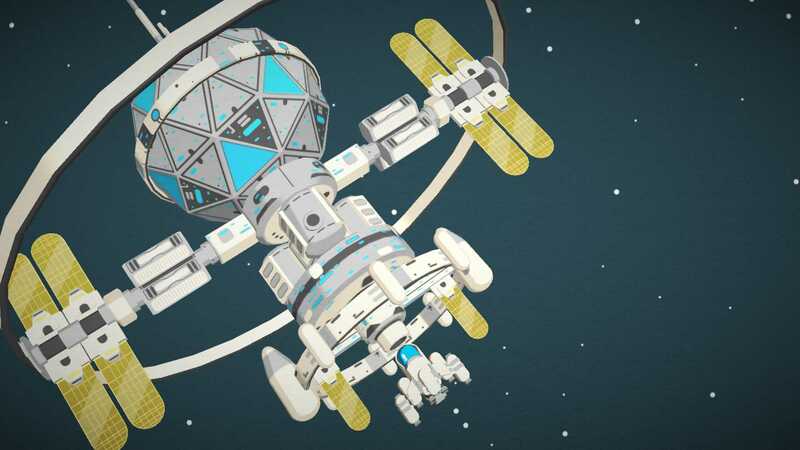 Pilot your own ship and blast your way through the solar system as you collect moolah to help profit your company! Expand beyond our solar system across more than 40 planets, recruit managers, play awesome retro inspired mini-games, and fight evil bosses as you show the universe who’s the real boss. Own the universe in this fantastic space venture. Vostok Inc. is out right now on Nintendo Switch, PlayStation 4, PlayStation Vita, Xbox One, PC, and NVidia Shield. We’ve also opened our own Clothing line here, where you can purchase a range of cool t-shirts. Oh and if you fancy playing one of the minigames on your android phone, we’ve got you covered here. 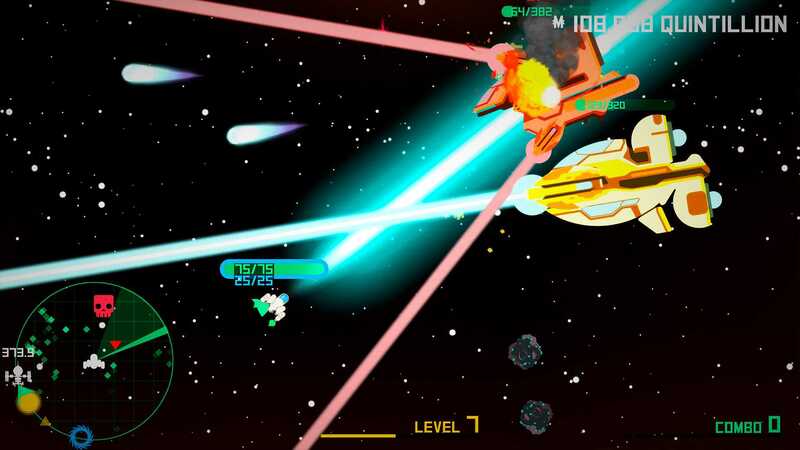 Vostok Inc. is the world’s first twin stick action arcade clicker. Do you love money? You’re the newly appointed CEO of Vostok Inc.As a greedy, space-capitalist your ultimate goal is to make as much as you can. Think the Wolf of Wall Street…in Space. Top 50 creative companies in the country as voted by Creative England. 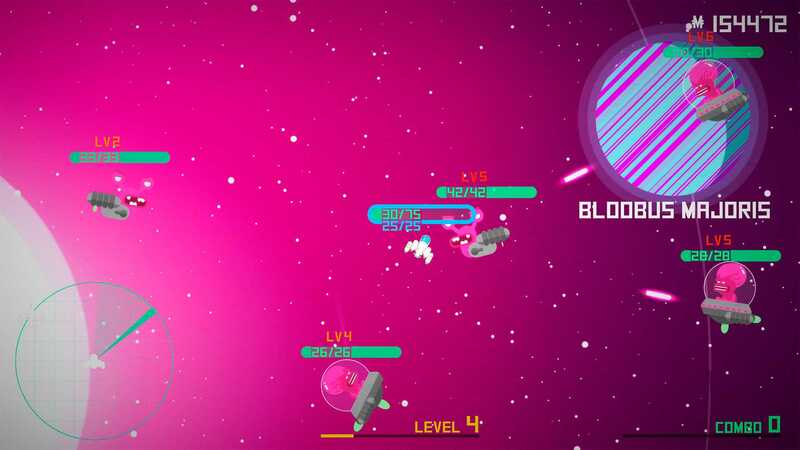 Vostok Inc. is developed by Nosebleed Interactive and published by Badland Games. It was released in 26 Jul, 2017. The Wolf of Wall Street… with lasers. You’re the newly appointed CEO of Vostok Inc. As a greedy, space-capitalist your ultimate goal is to get filthy, stinking, rich! First, you’ll need to raise some start-up capital by twin-stick blasting enemies, asteroids and anything else that gets in your way. Once you’ve collected enough moolah it’s time to land on planets and start mining, terraforming and colonizing. Use that extra moolah to upgrade your ship, craft weapons and build more planetside business enterprises to rake make even more moolah! With your pockets overflowing, you’ll be able to expand beyond our solar system, across more than 40 planets, recruiting managers, playing awesome retro inspired mini-games, fighting evil bosses and listening to a thumping customizable synth soundtrack along the way, all the while letting the (you guessed it!) MOOOLAHHH!!! roll in. Game Analysis Become the Wolf of Wall Street with lasers in this sci fi space tycoon adventure! As the newly appointed CEO of Vostok Inc you must do anything and everything to reach your ultimate goal to get filthy stinking rich! Pilot your own ship and blast your way through the solar system as you collect moolah to help profit your company! Expand beyond our solar system across more than 40 planets, recruit managers, play awesome retro inspired mini-games, and fight evil bosses as you show the universe who's the real boss. Own the universe in this fantastic space venture. Copyright © 2014 - 2019 SocksCap64, All Rights Reserved. Logos, Trademarks, Pictures Belongs To Their Respected Owners. Powered By WordPress. 104 Queries in 0.585 seconds.